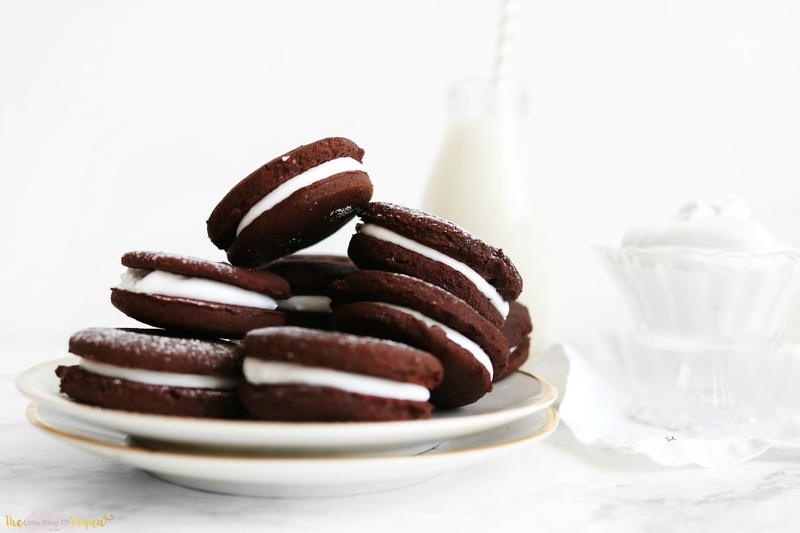 Say hello to the homemade and healthier Oreo cookie. I am so excited to share with you, my absolute beauty of a recipe! 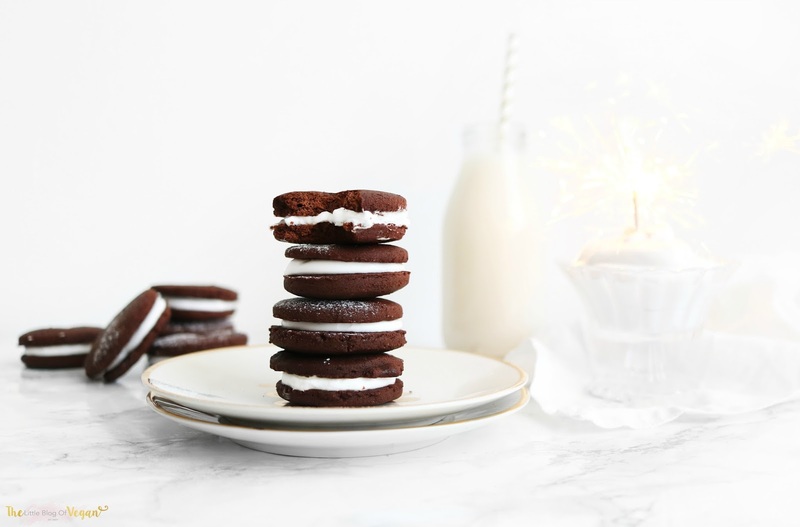 Oreos are one of my favourite cookies, but I wanted to make my own version which cuts down on sugar, trans-fat and all of the unnatural ingredients found in original Oreos. I, of course, had to make the gluten/wheat-free so everyone can enjoy too! These cookies taste delicious. 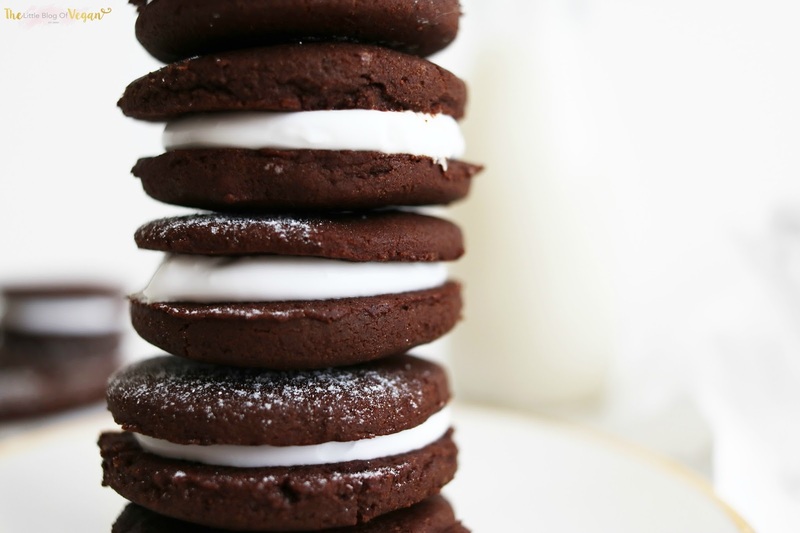 The filling is creamy and compliments the chocolate biscuit really well. It tastes like cookies and cream, yay. The coconut cream isn't as stiff as buttercream frosting but I wanted to try and make a filling a bit more natural and if served chilled, has the perfect oreo cream texture. They are fun to make and can be served at parties, occasions or as a treat. 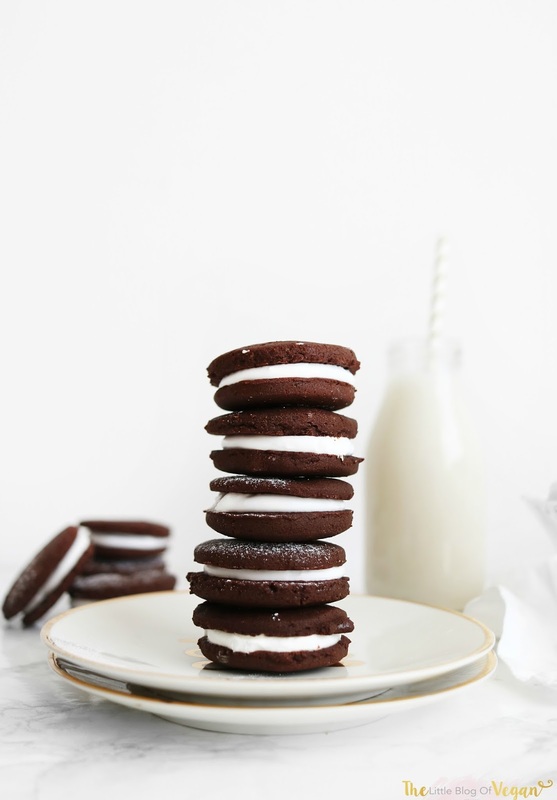 If you like Oreos or not, you are going to LOVE this recipe!!! Step 1- Preheat the oven to 145 degrees c and line a baking tray with greaseproof paper. 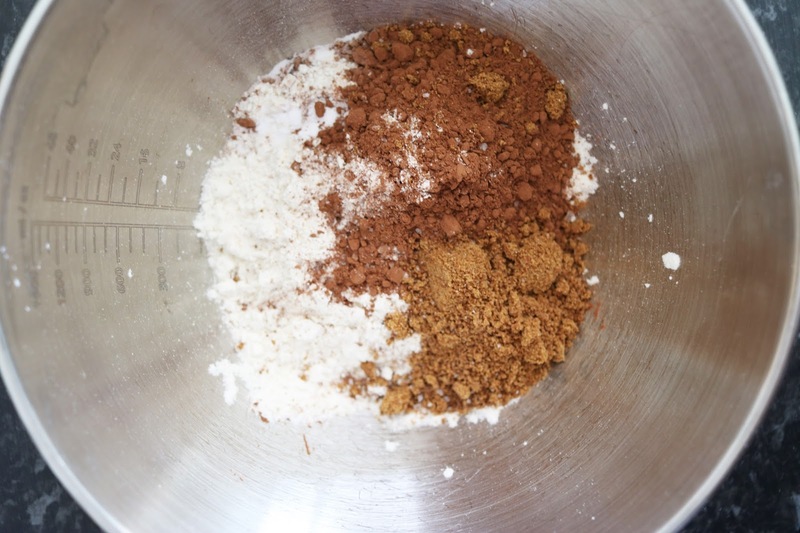 Step 2- In a large mixing bowl, add in the flour, cacao powder, sugar, salt and baking powder. Step 3- In a separate bowl, combine the vanilla extract, melted coconut oil, almond milk and maple syrup. 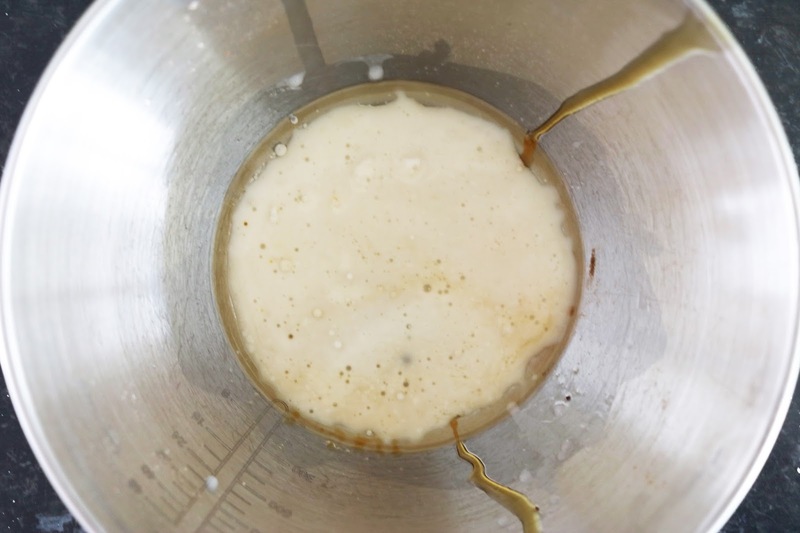 Step 4- Pour the wet mix into the dry and combine. 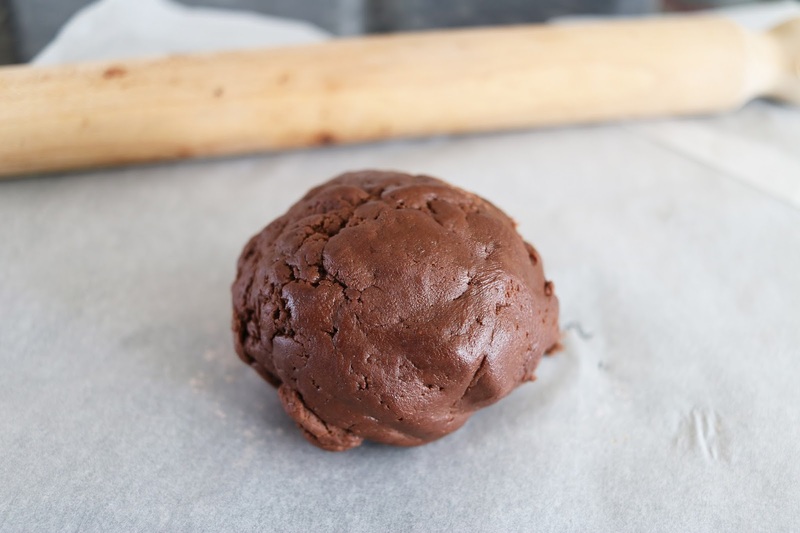 Step 5- Roll the dough into a ball, cover with clingfilm and pop into the fridge for 35-40 minutes to chill. Step 6- Lay greaseproof paper on your worktop then add on the dough and lay another piece of greaseproof paper on top of the dough. Step 7- Roll out the dough until 1/4 of an inch thick and cut out circles with a round cookie cutter. I have linked the one I used here. Step 7- Place the cookies into the preheated oven and bake for 8-10 minutes. Remember- Allow them to cool for around 10-15 minutes on the baking tray before removing them. Step 1- Scoop out the solid coconut cream from a can of coconut milk along with the powdered sugar and using a hand whisk or balloon whisk, whizz up until thick. Step 2- Add a dollop of filling into a cookie and top off with another cookie. 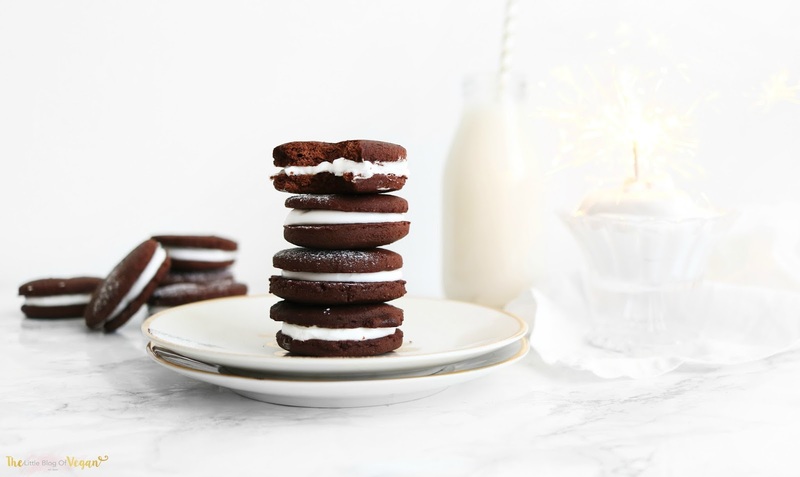 Why not dunk them into some dairy-free milk, absolutely scrumptious. These cookies look AMAZING! 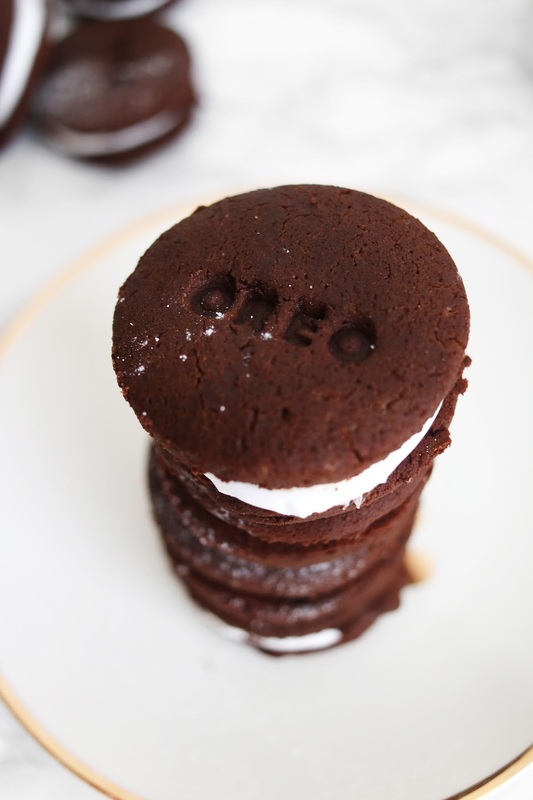 Love how you added that cute OREO stamp :) Can't wait to make them! 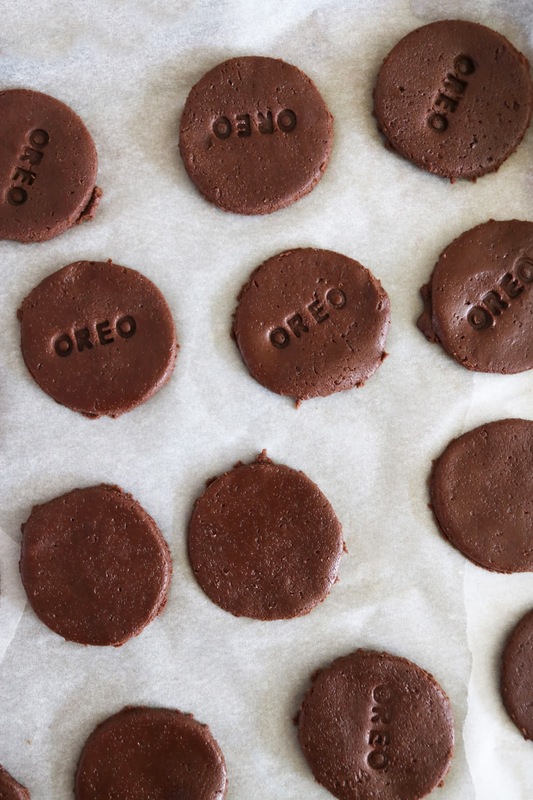 These look so lovely and fun - I also think the Oreo stamp is such a cute and effective decorative idea! I like that they're all natural too, definitely worth a whisk up I think! Hello, Aww thankyou!! Ys, i am so happy i chose to use the oreo stamp, it came out so cute.